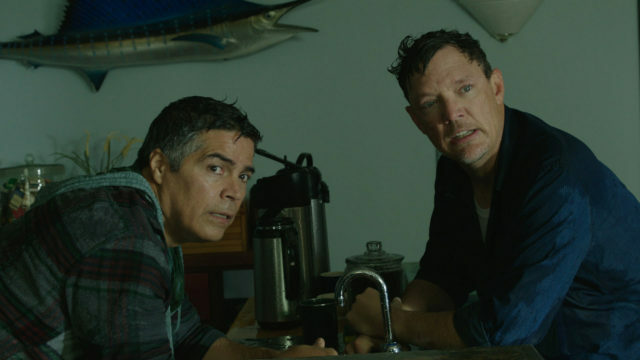 Esai Morales and Matthew Lillard appear in Halfway There by Rick Rosenthal, an official selection of the Indie Episodic program at the 2018 Sundance Film Festival. Courtesy of Sundance Institute | photo by Noah M Rosenthal. The official film lineup has been released for the Sundance Film Festival. Aside for the sequel to Super Size Me 2 being pulled from the lineup, the selection committee did a fair job. Overall, I don’t see why overrated films like that get picked; while a film I submitted that showcased a special moment of the 2017 solar eclipse gets passed over. The Sundance Film Festival does acquire a large amount of entries each year. In 2017, the festival saw over 13,000 submissions from 147 different countries. Also in 2017 the event hosted over 71,000 guests. This year the Sundance Institute is looking to showcase a large amount of renown films. Below is a list featuring ten films with a large amount of buzz. Connect with these films with the links to find out more about them on the Sundance Institute main website. Learn more about the filmmakers with preview videos featuring some of the directors on YouTube.